Mbongui Square Festival is an annual festival that celebrates the performing and visual arts. 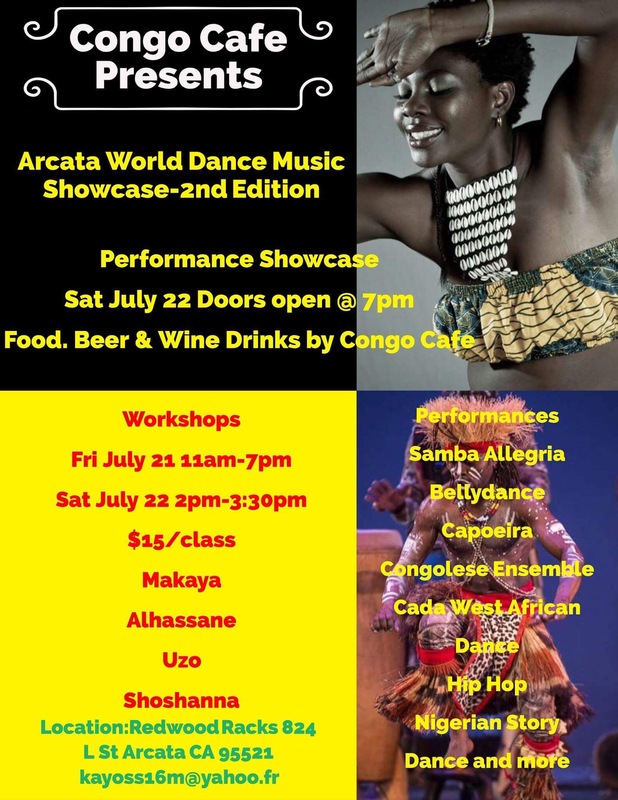 Organized by Kiandanda Dance Theater, the festival gathers dance, music, visual arts and spoken word artists of varied styles and artistic choices, from the Bay Area and across the world. What defines Mbongui Square Festival is interdisciplinary arts and multicultural community. Healing Journeys is an opportunity to experience the beauty of self healing and being witnessed in a safe and loving community. By tapping into our creative and healer self – we will remember what may have been forgotten; that the power and guidance for personal healing is within. 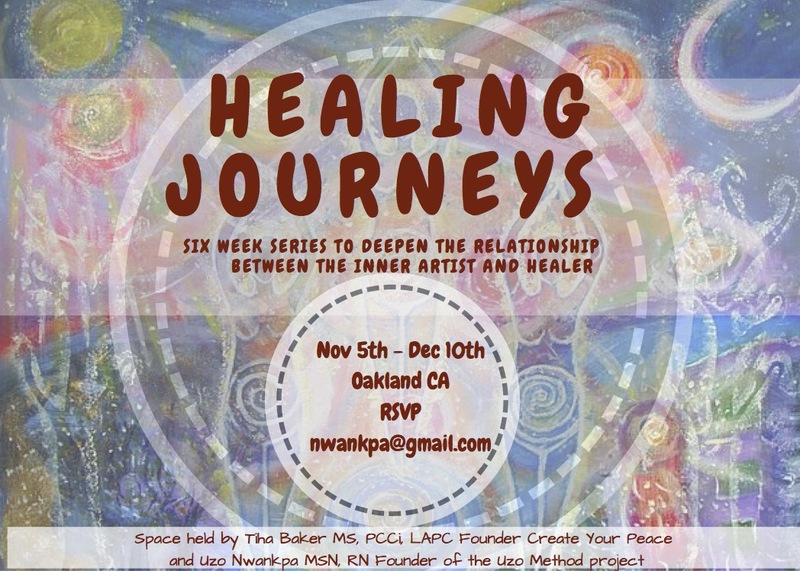 This 6 week journey will explore an integrative approach exploring a number of themes including pain and darkness, art as a turning point, embodying spirit and experiencing transcendence. Will you join us? Each Sunday witnessing session will be a potluck, please bring food and offerings for the alter. Motion, Music and Mindfulness – The 3 M’s to Thrive! Learn to create mind, body and soul harmony on a moment by moment basis using the 3 M’s to Thrive concept. Connect the ancient soul with the body using a combination of intentional movement, music and the breath that stimulate the energy centers. Be prepared to move the body! An expression of self discovery uncovering the deep layers of internalized oppression, colonization and the complex contradictions of imposed social identities. Transmutation is expected to occur by unleashing the energies of epigenetic traumas inflicted through systems of oppression by transforming it. Uzo Nwankpa is from the Eastern part of Nigeria, West Africa. An Igbo woman following her call of duty passed on to her from a long line of ancestral healers. Since the age of 5, she has been dedicated to sharing the power of indigenous healing practices through the art of music and dance. As a performer, student and teacher, she has toured countries in North America, Europe, Australia and Africa. She is the founder of the Uzo Method Project – A Public Health Solution. This program was developed to enhance, restore and rejuvenate the health of communities across the globe. Come join us for some great music, dance, food, performance and love. Do you love to dance and want to check out a great mix of dance and movement modalities in a community of open, friendly people? Do you like the idea of relaxing in a beautiful, natural environment, sharing yummy meals, and getting to know lots of like-minded and like-hearted people? If so, then you want to be at dance camp! It’s a village of dancers of all ages, happening Friday, June 16 to Sunday, June 25, 2017, at Camp Hye Sierra near Kings Canyon and Sequoia National Parks. Get Down: Primal Passion. Interpersonal Power.